If you’re looking for a winter tire to tackle the most severe of winter weather conditions, then the Falken Espia EPZ is a tire that doesn’t disappoint. Even when nature is at its worst, the Espia EPZ will ensure that you have a safer drive to where you need to be. The Espia’s superb traction over snow and ice will give you added confidence behind the wheel and put you at ease. It is a boon for anyone who lives in an area which faces severe winter conditions. The Espia EPZ consists of a tread compound that has been reinforced with micro-fiberglass. This allows the tire to dig into the snow or ice and establish a vice-like grip on the surface. Unique canyon sipes shaped in a zigzag pattern further enhance grip on wet or snow covered roads. When you drive on the highway the tires give you better stability, including wet conditions. Where it truly excels is in snow and icy conditions. In the event that you have to break suddenly when driving on ice, the Espia EPZ will not fail you. During acceleration you’ll also notice how smooth this tire maneuvers. Whether it is heavy snow or ice, the Falken Espia EPZ has a tread pattern for each condition also known as the “ice face” and the “snow face”. The dual tread pattern results in a larger shoulder and affords a wider contact patch to maximize stability. The risk of hydroplaning is nearly zero due to the wave sipes and larger contact patch. A wave sipe on the edge of the shoulder gives the Espia EPZ strong support in order to maximize stability while running on the highway. In fact, the Espia EPZ will surprise you with its great poise at high speeds. Something else that is unique to this tread design is a built in anti-aging mechanism. This mechanism controls damaging ultra-violet rays, as well as bending that leads to a much shorter tread life. Overall, the Falken Espia EPZ Tire is an excellent winter weather tire that handles the toughest of weather conditions, while also providing a quiet and comfortable ride. It has been chosen as one of our top 5 snow tires available today. Prices on the Falken Espia EPZ range from around $88 for 14 inch series tires to approximately $145 for larger 17 inch series tires. Who Are Falken Espia EPZ Tires Designed For? 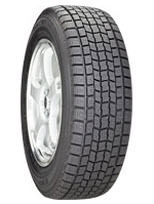 The Falken Espia EPZ Tire is designed for drivers of SUVs, crossovers, minivans and other vehicles who require a winter tire that will perform well in any type of winter weather conditions. Falken Tires backs up the Espia EPZ with a materials and workmanship warranty for the life of the original tread, to 2/32 inch of the remaining tread depth. If a tire becomes unserviceable due to such defect within the first 2/32 inch of tread wear it will be replaced free of charge. A prorated amount will be given down to the final 2/32 inch of useable tread depth.